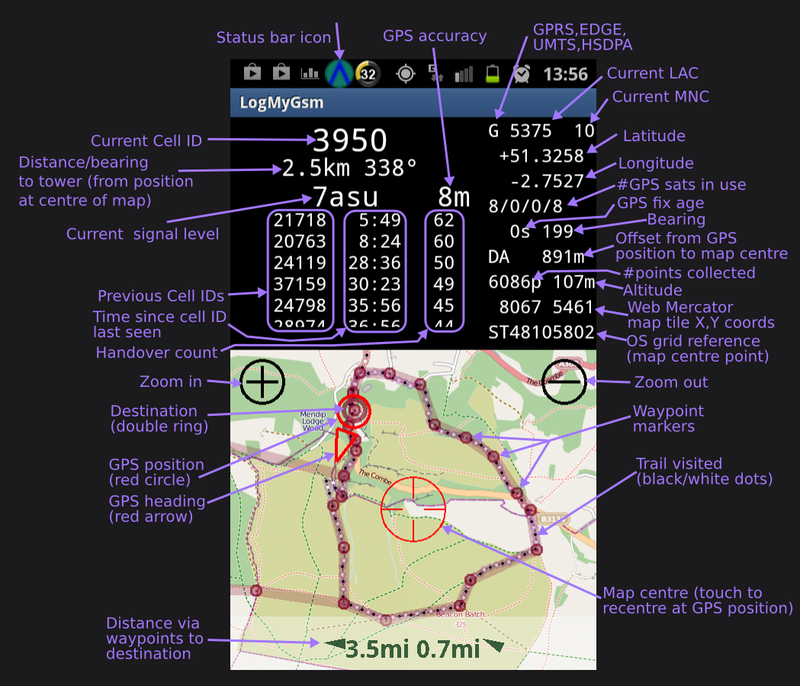 The picture below tries to explain the on-screen display of LogMyGSM. The source code is on github. If you’ve got an Android development environment, you can download and build it for yourself. I haven’t released it on the market yet. By rc0rc0 in Uncategorized on May 15, 2013 .